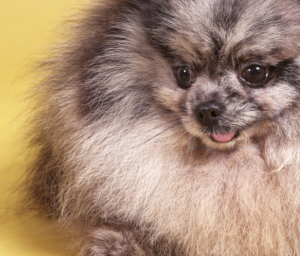 It’s a popular breed, but what do we really know about the Pomeranian? It’s almost terrifying how much misinformation is out there about this beloved dog breed, and worse, many of the myths about the dog have the potential to hurt it. Animal Scene got the chance to sit down with Faustino “Tino” Farro, trainer of many of the country’s (and some of the world’s!) foremost Pomeranians to get things straight about this popular canine. 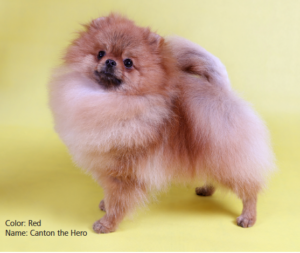 The founder of the kennel Tino works for first brought over the breed in 1977 and these days, it’s almost impossible to think of a prestigious Pomeranian which didn’t come from the Canton Pomeranians kennel. Myth 1: If a Pomeranian doens’t have a short face, it’s a pomspitz. Busted! Like people, there are many variants within the breed, Tino points out. The ancestors of the Pomeranian include ancient Spitz breeds from countries in the far northern reaches of Europe, such as the American Eskimo dog, the German Spitz, the Norwegian Elkhound, the Samoyed, the Schipperke, and the Samoyed. 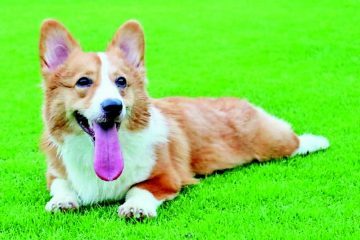 What these breeds have in common are wedge-shaped heads—a feature you will notice is stressed in the breed standard of the American Kennel Club—prick ears, and thick furry coats. Early Pomeranians, the kind Queen Charlotte brought with her to England, weighed as much as 30 pounds; it was not until the famous ‘Marco’ of Queen Victoria was first shown that people learned of the smaller specimens of the breed. 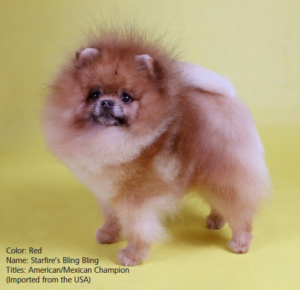 Myth 2: Mutations in Pomeranians, such as the ‘chowchow’ face, are highly desirable and are therefore more expensive. Busted! These days, you may hear the term ‘chowchow’ face on forums or on Facebook in reference to what’s desirable in a Pomeranian. Animal Scene wishes to caution its readers that certain people can attempt to manipulate public perception in order to sell less-than-desirable dogs that they cannot otherwise sell. This is unfair to both the dog and the buyer. The ideal and the breed standard is for a ‘foxy’ face, or the wedge-shaped face. The chowchow or so-called ‘teddy bear’ face is an ideal for cats, and is becoming fashionable among some Pomeranian breeders and owners. But this may result in health problems for the dogs. The baby doll or foxlike expression has its own charm and appeal, so why force the trait of another species on a dog that is already gorgeous? Myth 3: The Pomeranian is the perfect lapdog because of its size. Busted! A quick glance at the breed standard will show any prospective owner that the breed is not ‘Persian-catlike’ in disposition, as some disreputable breeders claim in ads online. A dog that is characterized as being “alert,” “buoyant,” and “inquisitive” is not likely to curl up in someone’s lap quietly, Tino pointed out. Myth 4: All Pomeranians look alike, except for a difference in coat color. Busted! Tino comments that not all dogs are perfect; that’s why you have classifications such as show, breed, and pet quality. All three are beautiful to those who love them, and the challenge for a breeder is to achieve the ideal in one dog. The show dog is comparable to an ‘artista’, he points out; it represents its breed as a result and is ideal for specific breeding purposes aimed at improving the breed. A breeding dog may seem the same at first glance but it will have some qualities considered to be ‘faults’ in a show dog (such as a bigger size). Its genes, however, are worth passing to future generations as it may be hardier or smarter than most. A pet quality Pomeranian may have faults or may not be suitable for breeding but it will still have the intelligence, loyalty, cockiness, and love for life that the breed is popular for. It’s important to note here that sometimes a dog’s environment can deform a dog, Tino says. Gait problems, for example, can be developed or exacerbated when a dog is raised in the wrong environment. 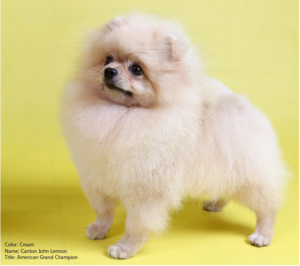 Myth 5: The most important thing in a Pomeranian is its coat thickness and color. Busted! On one hand, this is partly true—but does the Pomeranian have what is known as a “harsh” coat? This coat is coarser to the touch, and Tino notes that some may not like it as they expect a Pomeranian’s coat to be soft and fluffy. Thick hair is not enough; soft, woolish coats are actually something to watch out for, he adds. But this liking for “cotton candy hair” has, sadly, led to the abandonment of many a Pomeranian when it sheds its baby coat at the age of 6 months—or worse, develops the dreaded BSD or black skin disease. Myth 6: You can always tell the quality of a Pomeranian from photos when you’re buying one. Busted! One word: Photoshop. The faults in gait, stance, proportion, head carriage, tail set, the coat, and many more can be hidden in Photoshop. A video is best for checking on the quality of a Pomeranian, because you not only get to see how it really looks like, you can also appreciate its personality and general wellbeing. Watch how the Pomeranian moves; is its gait clean? Does it waggle when it walks, or does it trip a lot? Does it display the so-called “east-west” stance in its feet? Is its tail curled back? Is the neck high? Unless your Pomeranian is being ordered from abroad, it’s always best to see your Pomeranian in person before you buy it. Don’t just look at the face or the coat; you also need to check out how well structured the Pomeranian is. Another caution Tino gives is to wait until it’s about 4-6 months old (and in his opinion, that’s pushing it) to better evaluate the dog. 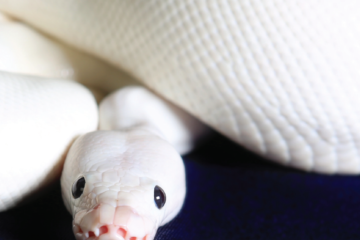 Be sure to have a look at its teeth (the lack of a ‘scissor bite’ can be a serious problem) because problems can sometimes be hidden there. Myth 7: Only Pomeranians raised underfoot make good pets. Busted! “Raised underfoot” is, unfortunately, much like the term “organic”: there is no single definition for it, and is often used to put a premium on something which may or may not be different from others of its kind. It all depends on what you want from the dog. Do you intend to show it? Then being raised underfoot may actually be a bad thing, as show dogs need to be used to handling, and need a certain amount of discipline and self-possession that being raised rough-and-tumble in a household cannot provide. If you want a pet, you still want one which will not end up bullying other dogs and pets in the household; being raised underfoot may not give your Pomeranian the temperament it needs to get along with others, especially if there was no structure to its daily routine. Another caution: some breeders claim that being raised underfoot ensures a Pomeranian is “good with children.” This is a very irresponsible claim; a Pomeranian will defend itself, and rightly so, when roughly handled or hurt by a child. 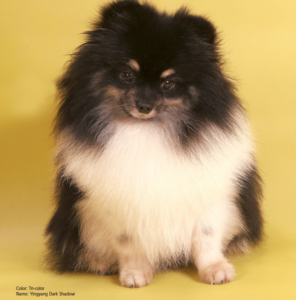 Myth 8: Merle colors are more desirable in Pomeranians, and are the only reason why their price is high. Busted! Tino laughs that this obsession with the coat is the not-so-secret way to tell whether someone is truly an aficionado of Pomeranians: do they even mention its gait? If all the so-called expert can talk about is the Pomeranian’s coat, you don’t have a real expert on your hands but a poseur. Also, Merle eye or blue eye is a disqualification for the AKC Breed standard. 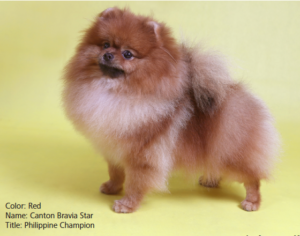 It is the orange Pomeranian which is the most popular among judges, winning the most titles. However, all colors have their own following, and breeders, aficionados, and experts each have their favorites. 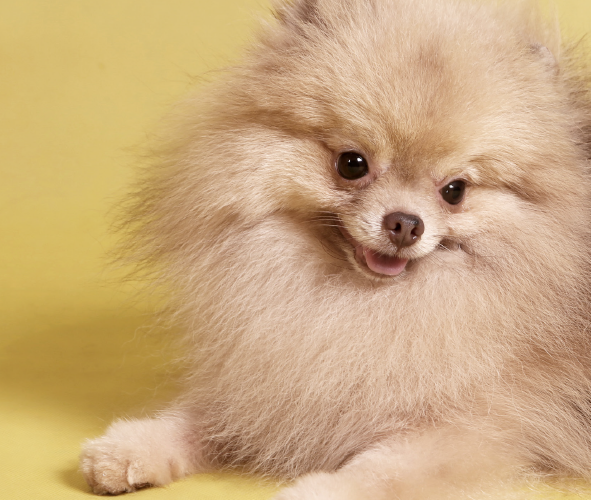 There’s one more thing that makes a Pomeranian desirable—and it’s not the coat but its gait. Watch any YouTube video of Jet Li, perhaps Tino’s most famous Pomeranian charge, and when you see how he moves as he is put through his paces during the show, you will see that the dog moves like a beautifully coordinated athlete, with a precision of gait you don’t often see in dogs. This appeared “PomMyth Busting!” in Animal Scene’s February 2016 issue.